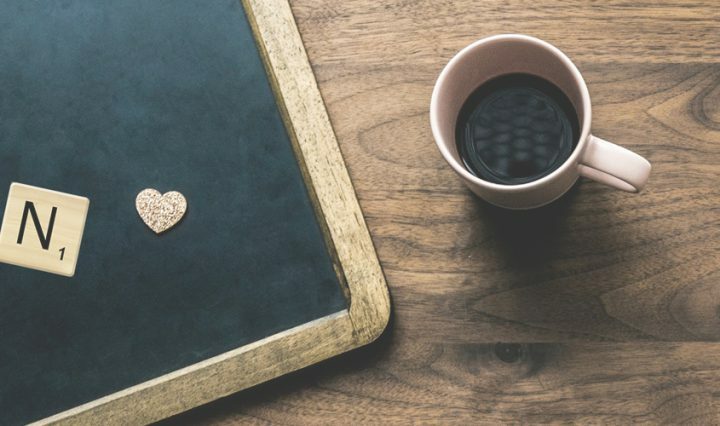 Today, I am giving away one of Christmas 2018’s most wanted gifts! 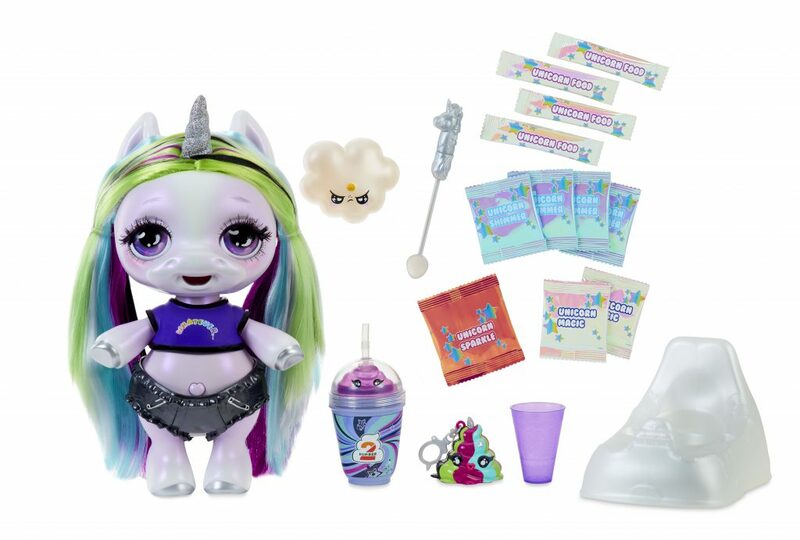 Read on to find out how you can win your own Poopsie Surprise Unicorn worth £50! When you feed your Unicorn, sit her on the glitter potty and she will magically poop slime! There are 20 different slime combinations to create with the unicorn magic and sparkle packets. You can transform the slime and customise it multiple times, for neverending fun! Store the slime in the collectible Poopsie keychain, so you can play with it when you’re out and about! There are 4 assorted characters to collect – 1 is supplied in each pack. 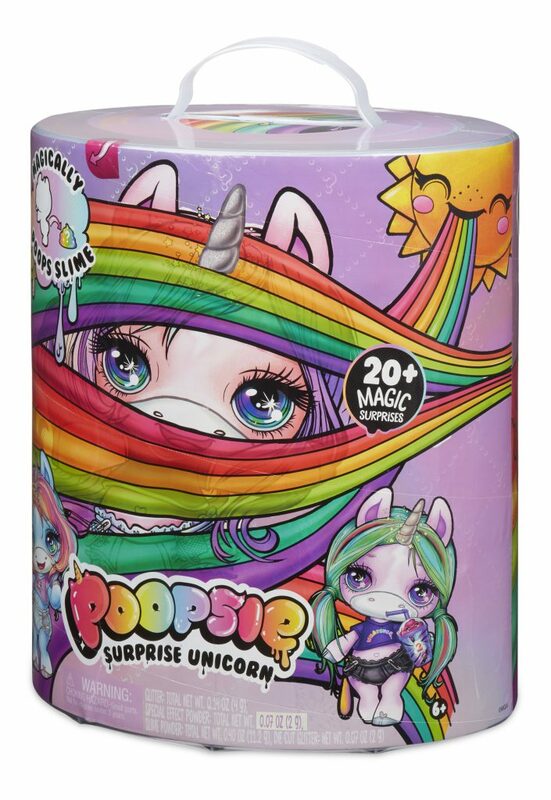 Poopsie Surprise Unicorns are suitable for kids age 6 years and over. Each unwrapped Poopsie Surprise Unicorn measures: H35.56, W26.67cm. 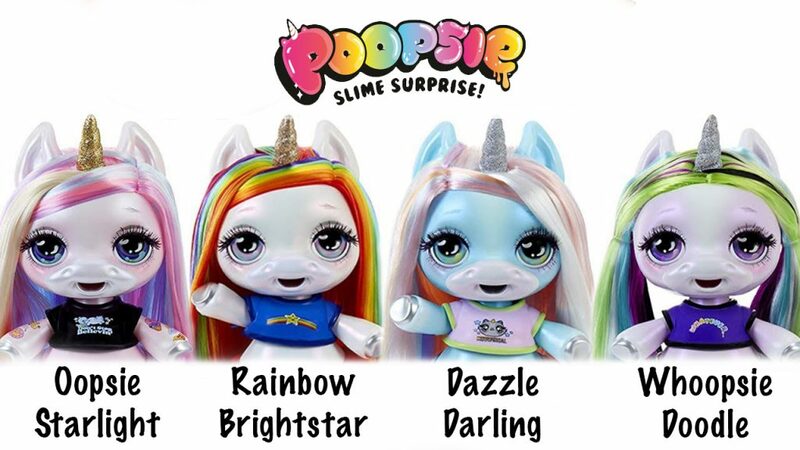 As the video shows, there are 4 Unicorns to collect… Dazzle Darling, Whoopsie Doodle, Oopsie Starlight and Rainbow Brightstar. I wonder which one our winner will get! These toys should only be used under the direct supervision of an adult. They contain fragrances that may cause allergies. To be in with a chance of winning a Poopsie Unicorn of your own, simply fill in the Gleam form below. Remember to comment saying which of the 4 unicorns you’d most like to win… Dazzle Darling, Whoopsie Doodle, Oopsie Starlight or Rainbow Brightstar! This giveaway ends on 25th April 2019. Finally, if you love a giveaway, why not check out the others I have running, here! Oopsie Starlight. But aren’t they all gorgeous….who wouldn’t want a unicorn like these?!? I love Rainbow Brightstar – she is so colourful. I would choose Rainbow Brightstar. My girls would all be fighting over any of them, but my favourite is rainbow bright Star! tbh anyone for a treat for my nieces little girl would be nice! My niece said she likes Oopsie Starlight the most. A lovely range but Rainbow Brightstar is an absolute delight. I think my niece would probably love Rainbow Brightstar! I think that my little girl would love oopsie starlight. Rainbow Brightstar please, my daughters favourite. I love Whoopsie Doodle and my granddaughter would adore her. Rainbow Brightstar is my nieces favourite. My daughter would like to win Oopsie Starlight. We love them all but Whoopsie Doodle has the best name! My monster.. I mean daughter would love any of them probably Rainbow Brightstar if she had to pick! Rainbow Brightstar – my 5 year old loves rainbows! My daughter would love dazzle darling. Oopsie Starlight please because she’s super cute and adorable! Oopsie Starlight I would love to win please as she is so cute. I’d love to win the Rainbow Brightstar unicorn for my niece. Oopsie starlight, my daughter loves pink. My step daughter would love this, or anything to do with slime really! We would love Dazzle Darling! Thanks for the chance to win. We would like Oopsie Starlight please. My little one would absolutely love Rainbow Starbright. Super cute. I would love to win Rainbow Brightstar for my daughter – fingers crossed! Would love to win Rainbow Brightstar, she looks fab! Rainbow Brightstar because I love her hair! Rainbow brightstar because my little girl Daphne loves rainbows, and loves unicorns! Rainbow Brightstar, I think my granddaughter would love it. Dazzle darling – my daughter and I are both big fans of turquoise and light blue, so I know she’d adore her!! Would have to be rainbow brightstar we love rainbows! Oopsie Starlight – they are all very cute! I like Oppsie Starlight the most. My granddaughter would love rainbow bright star. I think my daughter would love Rainbow Brightstar best! Rainbow Brightstar – just for that hair alone! In would most light to win Rainbow Brightstar, as I love the hair.